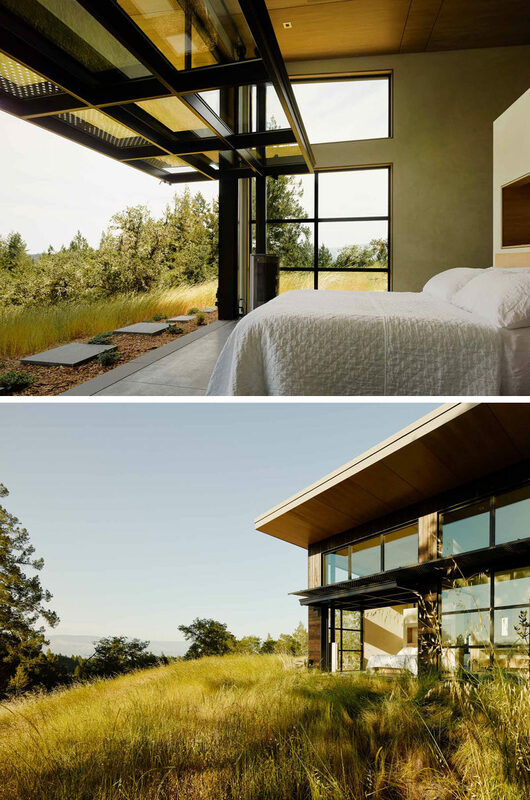 Feldman Architecture have designed this home that sits on top of a hill near Healdsburg, California, for their clients that love to entertain. 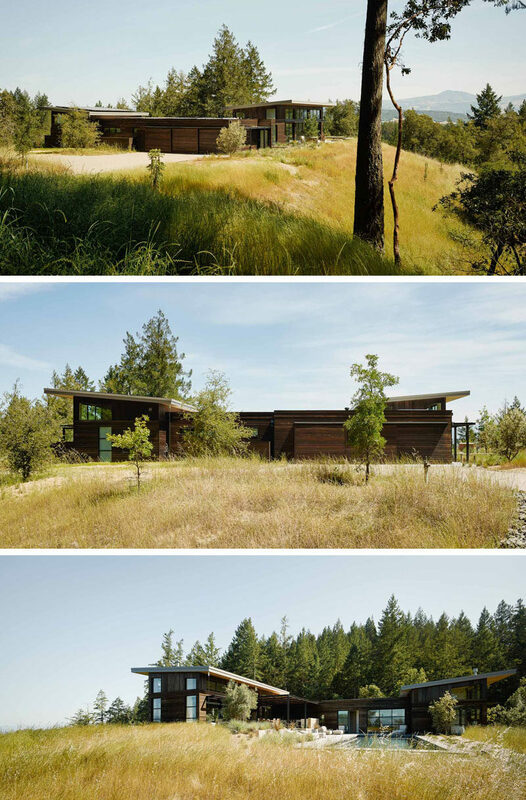 To take advantage of the sweeping valley views, this home has a variety of outdoor spaces like a poolside patio and firepit surrounded by landscaping, designed by Arterra Landscape Architects. 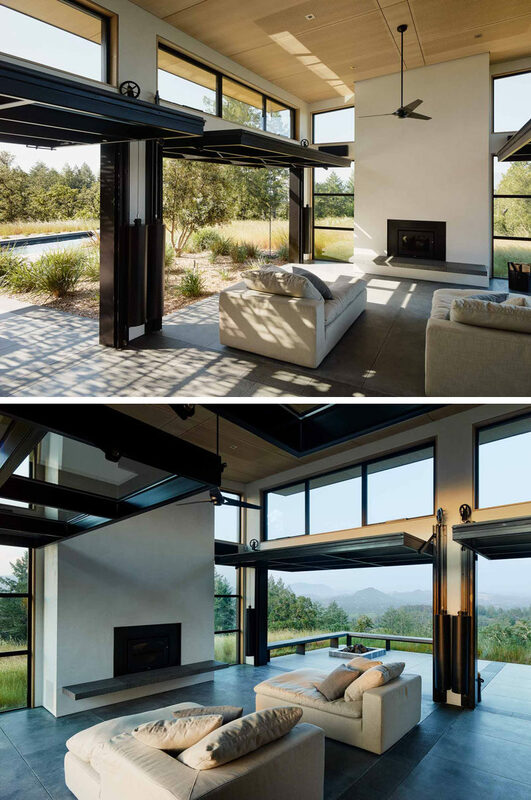 Four oversized glass panels open on a pulley system on each side of the main living room, to create a dramatic effect and allow for indoor/outdoor living, as well as assisting with air flow on a hot day. A simple wood dining table and chairs separates the living room from the kitchen. 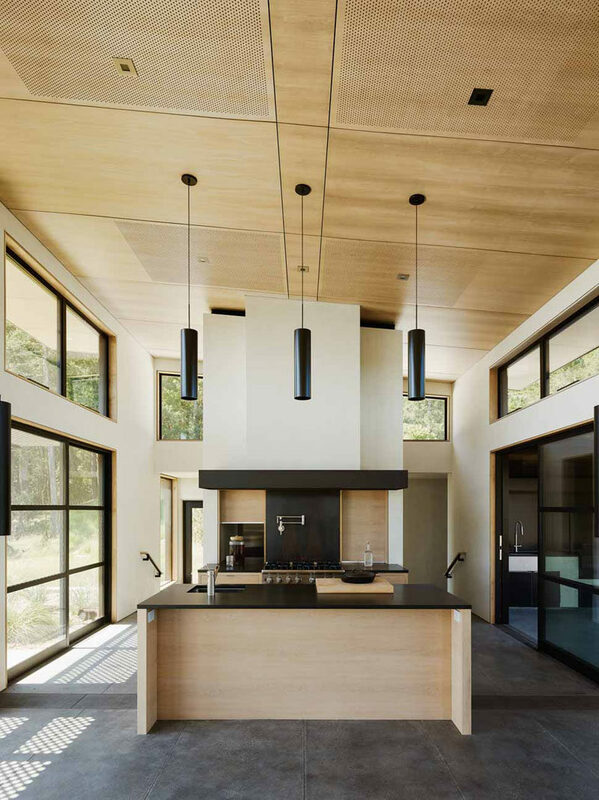 The high ceilings and additional windows let plenty of natural light into the space, and the wood kitchen has black accents to match the window frames. In the bedroom, there’s another door on a pulley system that opens up the room to a path outside. It also provides an uninterrupted view of the surrounding area. 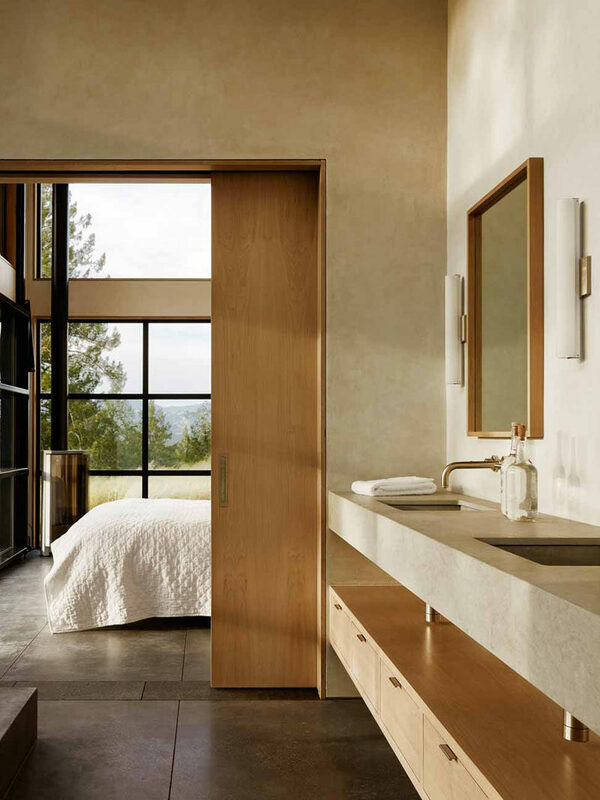 In the ensuite bathroom, there’s a wood pocket door to save space and the concrete flooring continues from the bedroom through to the bathroom. 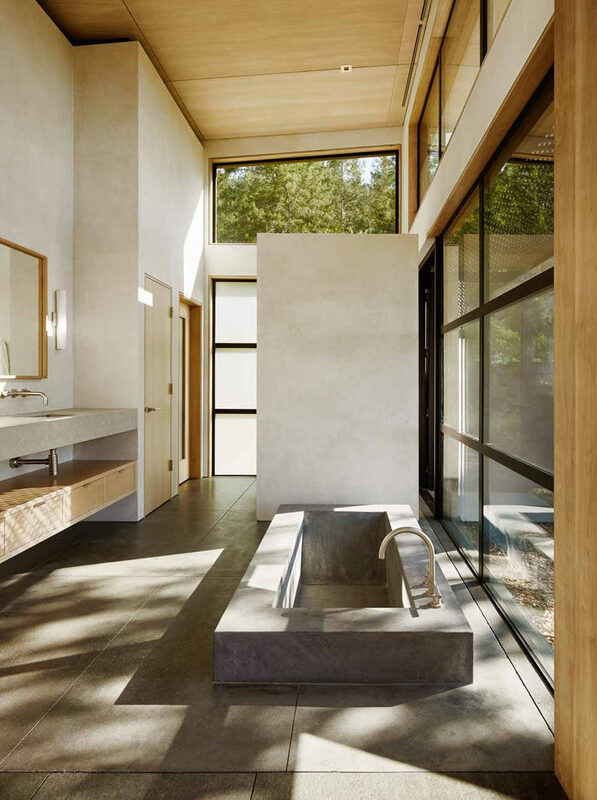 There’s also a concrete bathtub sunken into the ground.